"I really enjoyed the workshop. I walked away thinking 'I could have happily stayed there longer!' Not many workshops have been as helpful nor been as inspiring!" Science Teacher Lowell High School, Lowell Oregon. 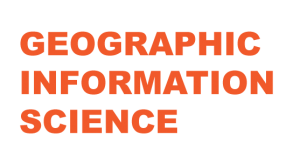 This workshop will focus on how geospatial concepts and geospatial technologies can be used across the curriculum to teach important career skills. The five-hour hands on workshop focuses on using Web-based GIS across the curriculum. Teachers will explore ready-to-use Web-based GIS lessons developed and tested by Lane County teachers. Participants in the workshop will receive PDU's, a $250.00 stipend, workshop materials - lunch is provided. Click the college location to access the application. Closed Portsmouth, New Hampshire: August 27, 2011 9:30 am to 3:00 pm. Closed Edwardsville, Illinois: October 15, 2011 9:30 am to 3:00 pm. After we have received your application, we will contact you about workshop availability.